The moment you turn your car’s engine on, exhaust emissions start coming out of its tail pipes. They could cause your car to fail its annual MOT test if examiners judge that too many harmful gases are being emitted. They could even land you with a fine. There’s nothing drivers of internal combustion engine cars can do about small levels of exhaust emissions. They are, after all, the result of the chemical reaction taking place when fuel is burnt by the engine. But with tougher checks for cars’ exhaust emissions, find out how to stay the right side of legal. Why are exhaust emissions important? The first car exhaust emissions tests were carried out 50 years ago in the US and they’re becoming an ever more important part of driving as governments become increasingly concerned by poor air quality. Car makers go to extreme lengths to reduce the emissions their cars put out, as the recent Volkswagen diesel defeat device scandal highlighted. 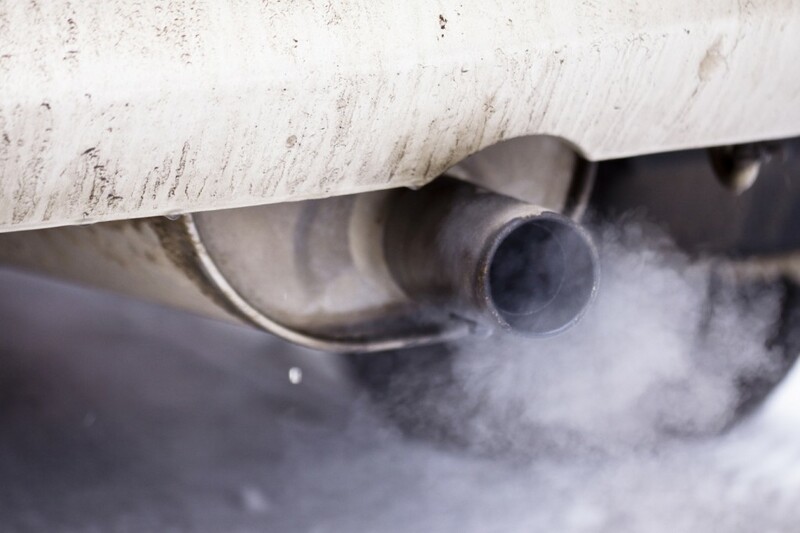 The majority of vehicles have an exhaust emissions test as part of their MOT. Usually this is carried out using a meter. But petrol vehicles first used before August 1975, and diesels first driven before August ’79 are tested by sight. Can you conduct your own emissions test? What if you see smoke in your mirrors? How do you limit the pollution your car pumps out? What is a Low Emissions Zone? There are 200 Low Emissions Zones in cities all over Europe. They are designed to deter heavily polluting diesel vehicles from entering them. Air Quality Management Areas are a different thing, set up by borough councils that are worried about pollution. These mean the council can test vehicles that they suspect have illegal exhaust emissions at the roadside. Drivers whose vehicles fail are issued with fixed penalty fines. Can you get your own exhaust emissions tester? Sadly, the equipment used by garages costs many thousands of pounds and is a complex piece of kit, analysing exhaust smoke and the gases that come out of your car’s tail pipes. Exhaust emissions are a combination of gases. They can include harmless chemicals such as oxygen, nitrogen and water along with more poisonous pollutants. Carbon dioxide is one of the gases attributed to global warming. Sulphur dioxide occurs naturally in crude oil but is one of the chemicals that leads to acid rain. Nitrogen Oxide (NOx) emissions also contribute to acid rain and can cause harm to our lungs. Hydrocarbons come from unburnt fuel and can cause breathing problems. And there are health-harming particulates in the smoke from diesel engines. Modern cars have Diesel Particulate Filters (DPFs) to stop these being pumped out.